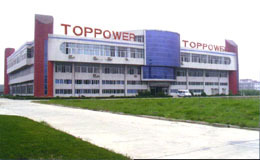 American Toppower is a subsidiary of Toppower Electronic Industry Group (TEIG), which is a leading manufacturer of electronic products in China. Toppower manufactures Rechargeable Batteries, Transformers, Car Audio Systems, Printed Circuit Board Assemblies, and other consumer & industrial electronic products. Most of our 17 manufacturing plants are ISO 9001 or 9002 certified. In addition to our standard products, Toppower also manufactures customer designed or specifically designed to meet customers's individual needs Battery Packs, Transformers, Printed Circuit Board Assemblies, Harnesses and the complete Unit Assemblies. satisfying service for all our customers.